The Jumpy Line source code clone is finally here! 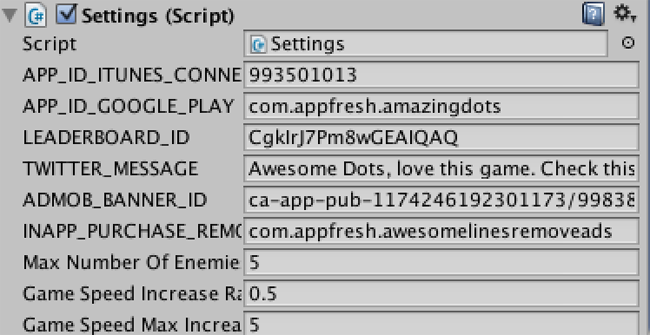 AppsFresh presents "Amazing Dots", an improved source code clone of the top Jumpy Line game with extra features the original game does not have. Amazing Dots has been created with Unity. It is meant to be cross-platform, iOS, Android and Amazon. What features/functionalities are present in the Jumpy Line Source Code clone? This is a clone of the mechanics. You can re-use the graphic images, menus and sounds. Use common sense and do not make a blatant copy/reskin of the original. In brief, if you do not want your app rejected by Apple, in this case, you will need to find a game title, assets, character that do not look like the original Jumpy Line game. There are 2 scenes located under the Assets folder. Open the “menu” scene in the assets folder, click on the UIManager game object. Look for the settings in the inspector tab. inspector. Change the iOS or Android chartboost app ID and app signature. button in the main menu. Make sure Unity is set to iOS, then click on build inside Unity. won’t be able to test the REMOVE ADS in-app purchase. 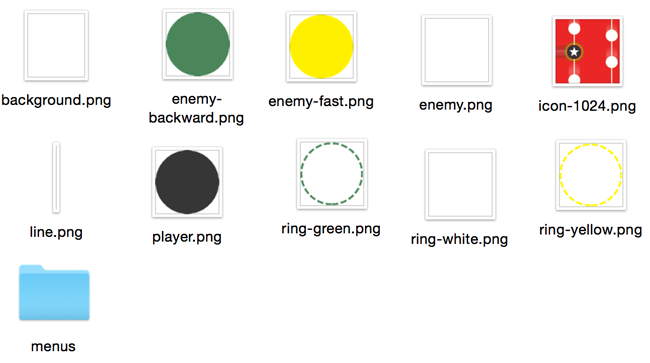 You can now run your Jumpy Line game source code clone.